I thoroughly enjoy reading fantasy novels, but I also have a passion for reading graphic novels! They can have just as good (or better) of a story as novels. Here are some of the graphic novels that I highly recommend reading, especially if you enjoy the fantasy genre. These are in no particular order. Also, there are a couple other series that may expand this list including Birthright, and The Unwritten, but I haven’t read enough of them to know for sure. Hope you enjoy this list and if you have any recommendations for me please leave them in the comments! This series is absolutely fantastic and if you really enjoy fantasy or super heroes I think you will love it. The story is really interesting and engaging and the art is pretty good! The best way I have found to read this series is obtaining the Ultimate Collection hardcovers. Currently there are 10 of them and if you catch up there are a couple additional trades out as well. It is still an ongoing series with over 120 issues! What I really love about this series is that it is less confusing and annoying than many Marvel and DC superhero comics. Marvel and DC constantly change story lines or completely reboots their comics and you have no idea where to start since there are so many possible options (spiderman is a great example of this). This one doesn’t reboot, so you must start at issue one. It’s just a fantastically, well written superhero story. Mark Grayson is just like most everyone else his age. The only major difference being that his dad is the most powerful superhero on the planet! And, Mark seems to be inheriting his father’s powers! See Mark thwart super-villains, alien invasions and all sorts of craziness, as he gets the hang of all this superheroing stuff (goodreads.com). This is by far one of my favorites to date! This fantasy story is incredibly interesting and well written, and omg! the art is just fantastic! The characters are also terrific and well developed. If you haven’t read this then you should most definitely give it a try. I highly recommend buying the Deluxe Editions of this series as they come out. They are beautiful and well built, although I dislike the glued binding. Despite this setback, the books should last you about forever. If at all interested in this series you should check out this youtubers review of the Deluxe Edition and some information about the series. Check it out here! 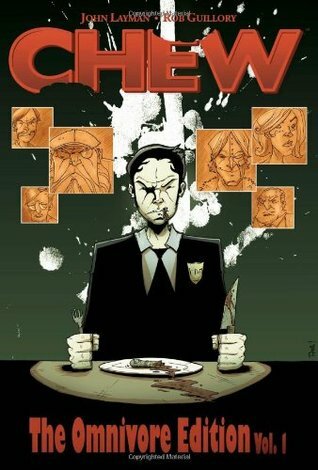 Chew is a much different, incredibly fascinating, down right hilarious, and sometimes completely disgusting story. 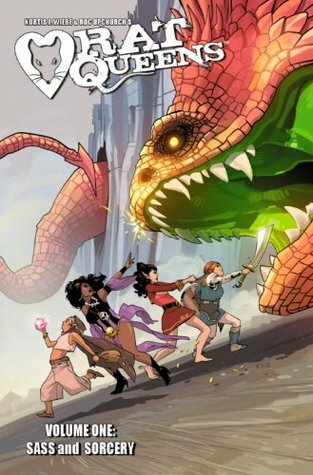 I love the concept, the plot is just awesome, and it’s a must read for anyone who loves fantasy comics! I love the story, the art is incredible, and you either end up just loving or hating the characters, all of whom are well developed. I recommend picking up the Omnivore Editions of the series. Currently there are 5, but I believe there is going to be one more, which will complete the 60 issue series. Rat Queen is a fairly new series with only two trades (10 issues) published so far. However, I am really liking it so I wanted it to have a spot on my favorites list. I am really enjoying the art style and so far the characters are awesome! An entire series about badass women, which isn’t seen very often! Awesome! The series is also pretty hilarious so if you like that than this is for you. For those of you who love fairy tale retellings than you absolutely must read this series! It is a bit daunting because it is so long, but since the series just finished you won’t have to wait so long to get that next issue! I believe there are 150 issues and almost everyone is worth reading. The plot is so engaging with many twists, turns, and surprises along the way, and the characters are well developed and memorable. Although I don’t like the art because of its newspaper style and inconsistencies, it still wasn’t terrible. Just wish they wouldn’t have had so many different artists. You wont want to miss this adventure involving your favorite fairy tale characters including Snow White, Cinderella, Rose Red, Pinocchio, Prince Charming, and many more! 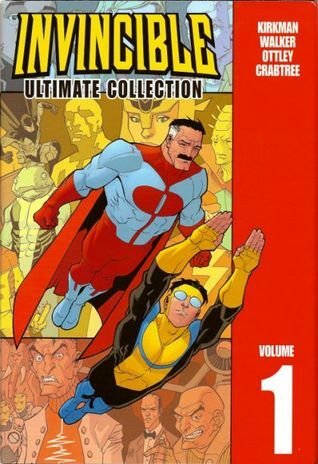 There are 22 trade paperback volumes collecting all 150 issues, so start reading! Or there are deluxe hardcovers, but all volumes have yet to be released. Omg! This is such an amazing story! The plot is incredibly interesting, entertaining, and engaging. There are so many twists, turns, surprises, and mysteries along the way to keep everyone interested. I have no doubt that if you love anything fantasy/horror related you will love this series. It’s one of the best! The art is incredible and I love all the characters, especially Bode! They all have great, distinct personalities, and develop well throughout the six volume series. I suggest you go out and buy the first volume and then the other ones because you wont want to put it down. It is one complete story so you won’t finish it unless you get through all six volumes! 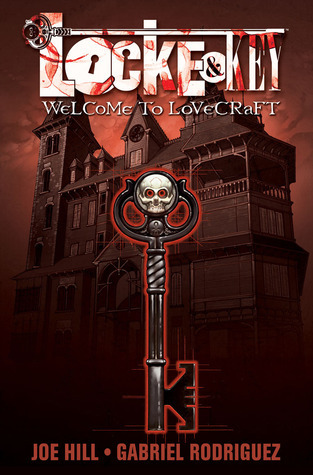 Locke & Key tells of Keyhouse, an unlikely New England mansion, with fantastic doors that transform all who dare to walk through them. Home to a hate-filled and relentless creature that will not rest until it forces open the most terrible door of them all (goodreads.com). Now you know my top 5 favorite (so far) graphic novels! Hopefully, I will be able to expand this to a top 10 later. 🙂 Have you read any of these? Did you like/dislike them? Any recommendations for me? Let me know in the comments! I picked up Locke & Key on audible last year when it was for free. Never listen to an graphic novel via the audio book format – so it’ll be interesting to see how its done. 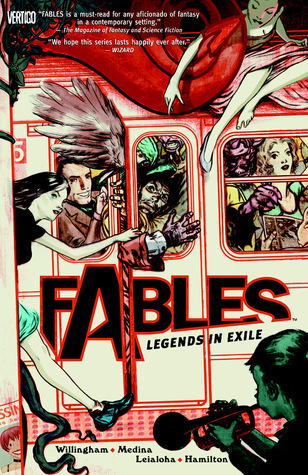 I’d also love to read Saga, Rat Queens, and Fables. I picked that up too! I haven’t listened to it though. The art is such a big part of graphic novels, but it would be interesting. Let me know if you listen to it! 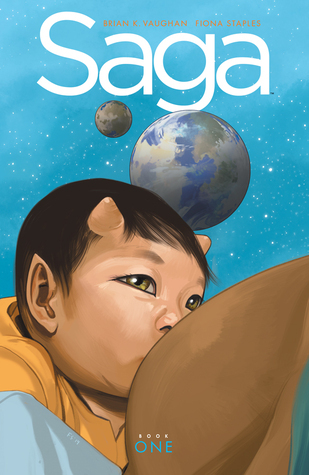 If you haven’t read Saga you are really missing out! Read it asap!